On Friday night the ministers of finance of the Eurozone approved the third bailout programme for Greece, amounting to almost 86 billion Euros. Nothing in this programme is for certain, though – not the involvement in it of the International Monetary Fund; some fundamental issues, connected to the pension reform and other budget matters need to be specified; there are no guarantees that the programme will be approved by all Eurozone member countries; and to top it all off there is no certainty that the political situation in Greece will allow the programme’s full implementation. Keeping in mind the bad experience so far of two unfulfilled and incomplete bailout programmes and the not too stable political environment in Greece itself, as well as in the Eurozone, you could say there are not many reasons for optimism. 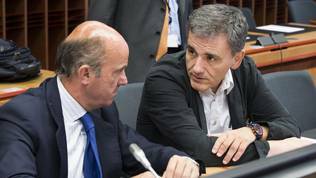 Escaping the Greek quicksand – mission (im)possible? The new bailout programme is once more formidable in scale. It amounts to a total of 86 billion Euros to be disbursed at several instalments and provided some strict conditions are implemented. 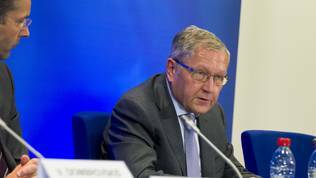 The value of the programme, though, is one of the sand castles, for, as was explained by the boss of the European Stability Mechanism (the permanent bailout fund for the Eurozone) Klaus Regling, the Eurozone has high hopes that the IMF will participate with funds. The amount is unknown so far, but the Fund’s involvement is highly desirable. So desirable that before the start of the Eurogroup Friday afternoon the German Minister of Finance Wolfgang Schäuble threatened that if the IMF refused to participate there would be no third bailout programme, but just a second bridge financing agreement – a temporary loan to repay the coming maturities on Greece’s previous loans aiming to avoid a legal bankruptcy. The first such agreement was brokered in July, after the second bailout programme expired without being completed. The Washington-based international financial organisation refuses to participate in a third attempt to save Greece from its deep structural and political problems if the Eurozone does not agree to some relief of Greek public debt. In a statement after the end of the Eurogroup meeting the Managing Director of the Fund, Christine Lagarde, for one more time in the last month and a half stressed that the institution’s involvement would depend on what debt relief will be suggested by the Eurozone. “However, I remain firmly of the view that Greece’s debt has become unsustainable and that Greece cannot restore debt sustainability solely through actions on its own. Thus, it is equally critical for medium and long-term debt sustainability that Greece’s European partners make concrete commitments in the context of the first review of the ESM program to provide significant debt relief, well beyond what has been considered so far.” she said. What is considered so far? 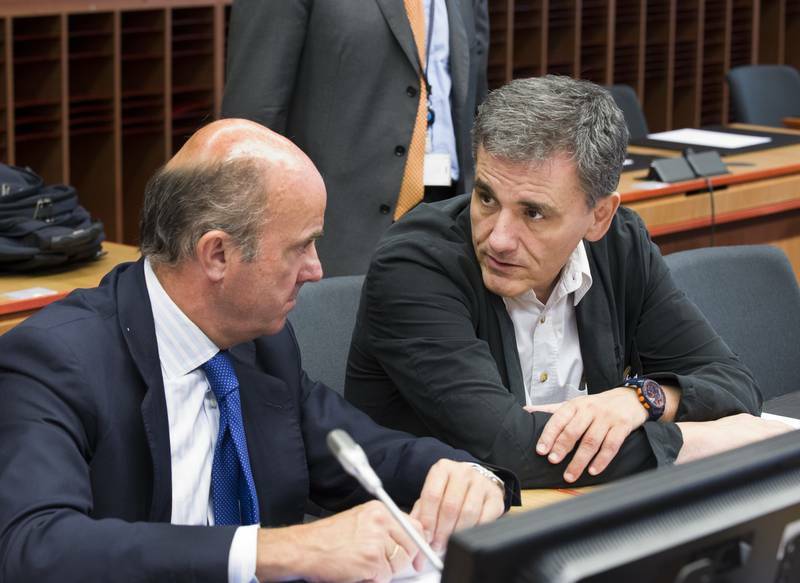 The Eurogroup is unanimous that at this point a relief of the Greek debt is not necessary. Grounds for this position are given by the assessment of the European Commission from mid-July that admits the situation has worsened dramatically since last year as a result of not going through with the bailout programme, but it is nevertheless under control. Based on the current conditions the debt-to-GDP ratio is expected to reach 165% in 2020, which is far above the cap of 124% agreed in 2012 when the first trimming of the Greek debt to private creditors was done. In 2022, public debt is expected to drop to 150% of GDP and further down to 111% in 2030. In the worst case scenario in 2020 debt could reach 187% of GDP, 176% in 2022, and 142% in 2030. The EC is of the opinion that it is not correct for all of the attention to fall on the debt-to-GDP ratio, as the structure of the debt is not considered. According to the EU, it is far more important to pay attention to the gross financing needs of the country, as lower financing needs would lower the risk to financial stability. At the moment, Greece enjoys a very low price for servicing its debt – the medium-term interest rate has fallen from 3.3% to 2.3% for the period 2015-2022. Low interest rates led to a real drop in Greek debt. The loan of 86 billion agreed for on Friday will cost 1%. Mr Regling explained that this is the lowest possible interest rate that represents only the cost of servicing the debt. Eurogroup boss Jeroen Dijsselbloem stated on several occasions, including after the end of the meeting on Friday, that a possible Greek debt relief can be discussed later on and it would include rescheduling of maturities and further lowering of interest rates. Klaus Regling was adamant, however, that the latter would not be possible. “I do not expect this will be lowered further” he said, as no one has the appetite to pick up the difference. The new loan will also be with a long maturity – 32.5 years. The IMF does not agree with the EU’s assessment of the debt sustainability. In its own separate analysis of July 14 the Fund shows that the Greek debt has turned “highly unsustainable” There are no differences between the Fund and the EU regarding the reasons for deterioration, but there is a difference in the forecasts. 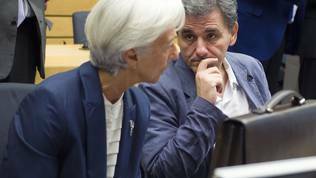 According to the IMF, Greek public debt will reach 200% of GDP with the help of the new loan of 86 billion Euros, which is in a three-year programme. The Fund is sceptical that the allocated medium-term fiscal goals of 3.5% of GDP and the new measures, some of which are still not specified enough, will contribute to achieving debt sustainability. To the Washington organisation there is no other solution than debt relief by extending maturity dates, extending grace periods to 30 years (from current 15) for the full European debt, including the new loan. Other relief possibilities that the Fund expects of the EU are annual transfers to the Greek budget, or "deep upfront haircuts". At this time, the Eurozone excludes the possibility of debt cancellation. Slovak Minister of Finance Peter Kažimír stated clearly before the Eurogroup meeting on August 14 that a haircut is possible only as a reward for good implementation of the programme. In other words, an after-hand haircut. 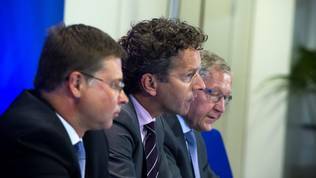 In his turn Jeroen Dijsselbloem pointed out that additional measures concerning not the debt but “gross financing needs” could be considered only after the positive completion of the first programme review that is expected in November. He remained optimistic that an agreement with the Fund will be reached in October, when a new review of Greek debt sustainability will be done. This year Greece is expected to mark a 0.25% primary surplus (budget surplus without taking into account loan instalments). The surplus for next year is supposed to be 0.5%, in 2017 – 1.75%, and in the last year of the programme – 3.5%. This goal must be achieved through fiscal reforms, accompanied by improvement in tax collection and a battle with tax evasion. Greece must undertake an ambitious pension system reform, presenting specific measures by October. Besides, like the institutions demanded, Greece must start serious labour and product market reforms, aiming to open up the economy to investment and competition. The requirement to modernise and depoliticise the public sector remains. A very serious issue, even more urgent now, is the non-performing loans problem. Also by October Greece must start a large scale, ambitious privatisation programme with an independent special fund established so that it can start work by the end of the year. Privatisation is the second card that makes the framework of the third bailout programme so fragile. The EU’s expectations are for Greece to be able to collect 50 billion Euros from privatisation, half of which are to be used for recapitalisation of banks and other assets, and half of each remaining Euro, namely 50% of 25 billion Euros will be used for lowering public debt. Remaining 50% are to be used for investment. The EU hopes that the Eurozone’s permanent fund of 455 billion Euros will not have to dish out the total amount of 86 billion Euros. The boss of the European Stability Mechanism expressed hope that, apart from the IMF pitching in, privatisation income and Greece’s renewed access to international markets will contribute to the amount. "It's very important the IMF to come back on board but we knew from the beginning that such a decision could come at the earliest in October”, said Eurogroup boss Jeroen Dijsselbloem. The first tranche of the money is unprecedentedly high – 26 billion Euros and will consist of two sub-tranches with which the bridge financing and other overdue payments must be repaid. The first part of the first tranche will be 10 billion Euros that will be released immediately after the national procedures of programme approval are successfully completed. They will be transferred in a special ESM escrow account where they will stay ready for bank recapitalisation and restructuring. The second sub-tranche of 16 billion Euros will also be subdivided and will be used for repayment of maturing loan instalments. The second portion of the loan will be 15 billion Euros and will be released after the first positive programme review in November. It will also be targeted at the financial sector. The Vice-President of the European Commission responsible for the Eurozone Valdis Dombrovskis (Latvia, EPP) responded to criticism that a new loan will only be used to repay old debt by stating that the fact that part of the loan will be used for bank recapitalisation means that money are directly injected into Greek economy, which was supposed to grow by 2.5% this year but instead will be in a 2.3% recession. Recapitalisation and return of peace in the banking sector are expected to gradually remove capital controls that hinder the economic recovery of Greece. Repayment of arrears, many of which to the private sector, will also practically infuse blood in the Greek economy, explained Mr Dombrovskis and added the money that the Greek government will receive to finance its budget deficit. One should not forget the special conditions that the EC offered Greece for a better, faster EU funds absorption at a total potential value of 35 billion Euros. In an interview for Börsen-Zeitung the French Member of the Executive Board of the ECB, Benoît Cœuré, warned bank capital controls (restrictions on withdrawals) will not be lifted so fast. Not before it is clear how and when are the banks going to be recapitalized. There is an innovation for Greece in the third bailout programme that was implemented, although in a different way, in Cyprus. The instrument for interbank bail-in is introduced for the first time, expressly stating depositors are excluded. The instrument will apply for senior debt bondholders. To make this happen, Greece will need to properly harmonize its legislation with the directive on bank rescue and restructuring. This would require an urgent solution of the problem with non-performing loans, perhaps by the creation of a bad bank like in Spain. The third Greek bailout programme is practically a mix of the previous two, the Spanish one, that was fully and only for bank recapitalisation, and pieces of the Cyprus bailout programme (bail in). European institutions and ministers were unanimous that the main culprit for the current situation is Greece itself. 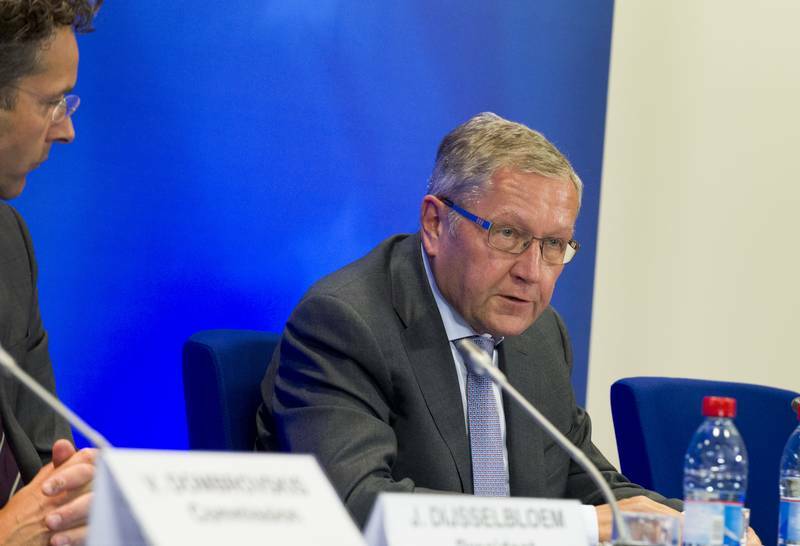 Klaus Regling, in his typical stern style, emphasized that Greece was the only state in the common currency zone that had not yet overcome the crisis. He expressed his conviction that this could still happen if the programme is fully implemented. Participants in the Eurogroup last Friday shared their good impressions from the markedly different way of working with Athens. Jeroen Dijsselbloem stated that after the changes in the Greek government (especially the change of finance ministers, though he did not mention it expressly) it is very easy to work with it and cooperation is strong and very serious. Work is very constructive and well organised. Benoît Cœuré also reminded that a full year was missed in destruction of trust. For the first time, he said, there is such strong focus on structural reforms such as the reform of opening-up of markets, improved tax collection and the fight against interest groups. 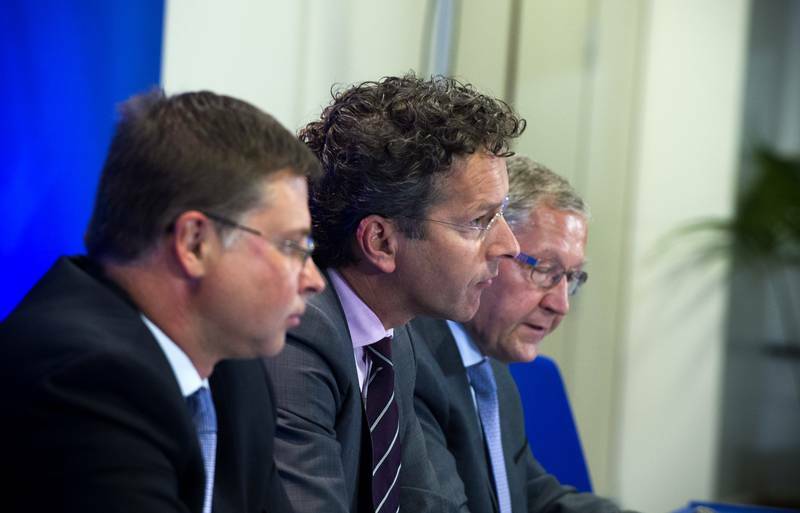 Jeroen Dijsselbloem voiced his conviction that political hindrances have been removed. According to him, there is wide consensus that work on the bailout programme must continue. He did, however, refuse to comment on the possibility of having preliminary parliamentary elections, which is intensively and quite openly discussed in Greece. It is also yet unknown how the programme will pass through the parliaments of some of the more skeptical Eurozone members. The IMF also remains unconvinced the third bailout attempt will be successful, and this is especially important to the Fund at this moment. Although fired, the former Greek finance minister, during whose governance the question of Greece leaving the Eurozone was openly stated for the first time, does not stop his battle to prove he was correct. He published two articles in his blog on August 17. In one he explains that it is actually his position that the IMF adopted on debt relief. He quotes an article from The New York Times, which presents the chronology of events. Yanis Varoufakis asked for debt relief all the way back in February and continued to demand it under pressure by leftist American economic experts. To the point of placing it as an ultimatum, flatly rejected by the Eurozone. To Mr Varoufakis the fact that the IMF is now placing this same issue as an ultimatum condition for its participation in the third bailout programme is the biggest Greek, or rather his own, victory. 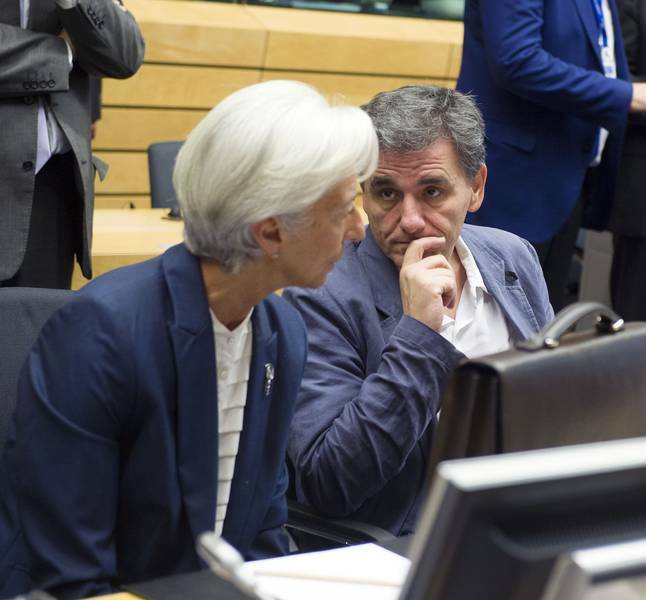 He reminds that during the Eurogroup meeting on June 25 he asked the Fund’s boss Christine Lagarde whether she believed the Greek debt was sustainable, to which she answered that this issue should be reviewed once more. It is a fact that she started to intensively demand that a month and a half or two months ago. This issue has become of great importance to the Fund, as the possibility of a bankruptcy and its possible exit from the Eurozone of a developed economy, which was supported by IMF money and advice, would be huge blow to the image of the Fund and its leadership, represented by the former finance minister of France Christine Lagarde, who has appetites for a second term in office. Considering the huge uncertainty around the financing of the programme, this risk still remains. If creditors write off the debts and give Greece the possibility of a clean start it would be a statistical success for the IMF. However, this would hardly be permitted by countries of the Eurozone, who consider this a moral issue. They want guarantees that Greece will clear all political and administrative reasons for the ineffective functioning of its economy before any debt cancellation is discussed. This is why it is of extreme importance that Greece does whatever necessary to flawlessly implement, as never before, the first part, so that it secures for itself not only a positive, but an excellent first review. The question remains what is to guarantee, after all these years, that after the first review and a possible debt cancellation Greece will not return to its old leftist ways of spending more than it has, knowing full well that in the name of the Eurozone’s survival or the good friendship with the IMF, after proper hysteria from the American left economic thought, its trespasses would again be forgiven? At the expense of the disciplined and swallowing painful measures other states in the currency block.